perfect location for me. service kinda efficient. staffs are generally friendly and helpful. convenient located, easy access to any parts of the island. Excellent service! Perfect location for tourists. Walking distance from Times Square Causeway MTR station and the bus stations. Taxis are very accessible in this area. I upgraded my room to an executive suite. If not the rooms are really small. The hotel is clean and modern and the rates for the regular room are a value....but you are staying in a value room. The location is in the heart of the city and walking distance to subway station and other public transportation. The breakfast was very good with an extensive buffet but the highlight for me was the lady noodle chef. The noodles were delicious,freshly prepared and with different ingredients on the three mornings we were there. Concierge staff were really helpful with lots of suggestions for restaurants,shopping , sightseeing and the markets. I HAVE SATYED TEHRE BEFORE THE LOCATION IS PERFECT. Best location, within walking distance of many attractions. South Pacific Hotel This rating is a reflection of how the property compares to the industry standard when it comes to price, facilities and services available. It's based on a self-evaluation by the property. Use this rating to help choose your stay! 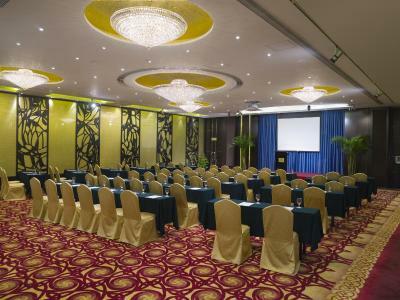 South Pacific Hotel is located in Wan Chai, just a 5-minute walk from Times Square Shopping Mall. 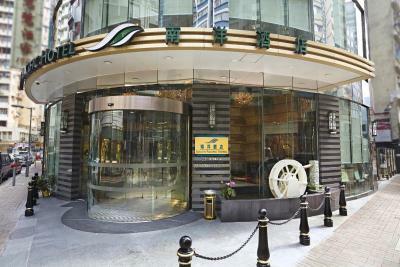 It provides comfortable rooms and a free shuttle service to Hong Kong Convention and Exhibition Center, Admiralty and Star ferry Pier in Central. Wi-Fi is also provided free of charge. 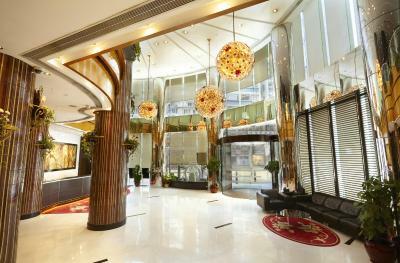 South Pacific Hotel Wan Chai is located a 15-minute walk from Hong Kong Convention and Exhibition Center. 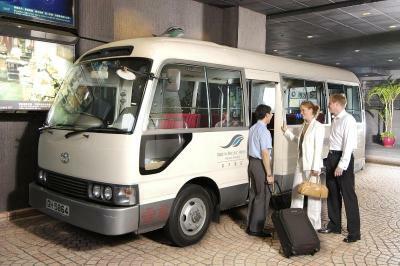 It takes 45 minutes by taxi from the hotel to Hong Kong International Airport. 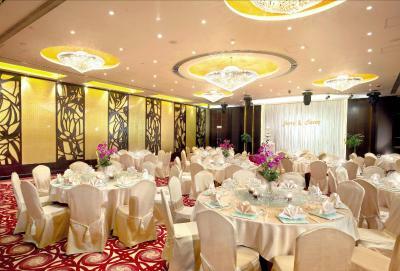 The rooms are fully air conditioned and elegantly decorated. They feature great views of the city and come equipped with a safe, a working desk and a cable TV. They all have an private bathroom. Guests can enjoy exciting dining experience at Grill Café’s open kitchen. When would you like to stay at South Pacific Hotel? 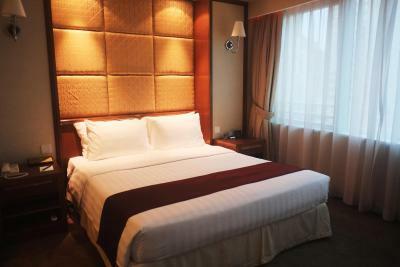 Located on 3-9 floors, the rooms are fully air conditioned and feature great views of the city. They come equipped with a safe, a working desk and a cable TV. They all have an private bathroom. The suites are spacious and fully air conditioned. They feature great views of the city and come equipped with a safe, a working desk and a cable TV. They all also have a separate living room and an private bathroom. Please note that a sofa bed will be provided for the 3rd person. Located on 10-23 floors, this twin room has a flat-screen TV and air conditioning. Located on 10-23 floors, this double room features air conditioning. Located on 24-26 floors, this twin room has air conditioning and cable TV. Located on 24-26 floors, this double room features air conditioning and flat-screen TV. Located on the 28th floor, the Executive Room sized 310 to 360 square feet offers city views. Every room features a Handy smartphone for free usage during your stay in South Pacific Hotel. Enjoy unlimited data use, free local call and IDD call to 5 designed countries. With the WiFi hotspot sharing function, you may connect up with your own devices. 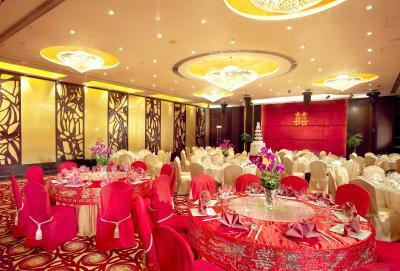 The hotel is within walking distance of Times Square and Happy Valley Racecourse. 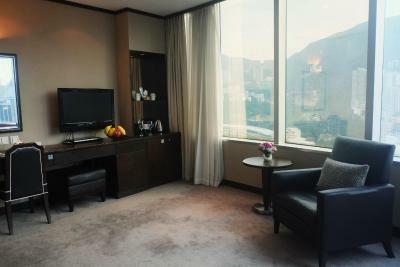 Some of the hotel rooms are well appointed with a large window overlooking Happy Valley and the Racecourse. House Rules South Pacific Hotel takes special requests – add in the next step! South Pacific Hotel accepts these cards and reserves the right to temporarily hold an amount prior to arrival. The property will be undergoing renovations from Wed, May 01, 2019 until Mon, Sept 30, 2019. During this period, guests may experience some noise or light disturbances, and some hotel facilities and services may not be available. Great location.Very clean.Good breakfast.Excellent staff. Breakfast could be more variety and longer, stuff constantly reminds that breakfast is only till 10am. I stay in 2306 air circulation not propertly design. At check in take long time to have hot water. Local food and wet market next to hotel. This time internet access code didn't work. Take long time to have hot water in shower, room 1203. similar incident in one of my previous stay. You may look into how to balance it or the recirculating loop. Doesnt seems right and it waste lot of water. A/C is not cold enough but ok.